﻿"Education is the most powerful weapon which you can use to change the world." Becas Especiales is delighted to announce that we are continuing to serve over 60 students in the Uspantan area this year, 2017. We are supporting 22 middle school students, 33 high school students, 6 university students and Feliciano this coming year as well as continuing to support the computer lab and the community service program. All this is supported by a budget of $28.000. The volunteer members of the local board of directors in Uspantán have committed to doing all they can to raise 15% of the 2017 budget locally. This is an enormous task given the economic realities in the communities we are serving, yet it is also a huge step to making this program more sustainable locally. Education plays an important role in breaking the cycle of poverty that plagues rural areas of Guatemala such as those of Uspantán. In addition to the outright benefits of education such as the abilities to read and write and being more qualified to find a job, education has a positive impact on other areas of development and thus facilitates a positive cycle of development. Increased levels of education are correlated with better overall health including improved nutrition, early diagnosis of disease, decreased infant mortality rates, increased life expectancy, reduced childhood labor, and increased productivity in rural and urban self-employment. Education unlocks a world of new possibilities for creating a better life for one´s self, society, and the world. 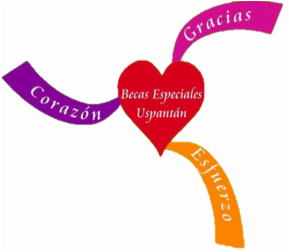 Through your support of Becas Especiales Uspantán you can help not only improve the life of one child, but that of the community, country and world as a whole. Becas Especiales (Special Scholarships) is a program to help Guatemalan families pay the fees to send their children to public school. Unlike in the United States and Canada, public schools in Guatemala are not free. After primary school, in basico or middle school, each student must pay the equivalent of $220 USD a year for tuition and supplies. High school costs about $350 a year In rural areas like Uspantán, El Quiché, where Becas Especiales was founded and is based, most families are subsistence farmers and have very little income. In families where the father (typically the wage-earner) is absent, it can be almost impossible for mothers to earn the money to send their children to school. That's where Becas steps in, giving money in four yearly installments to dedicated students with proof that they are keeping their grades up and attending all their classes. The results are happy kids who are able to complete their education. For more information on how to donate to the program please refer to the donate section of the website.